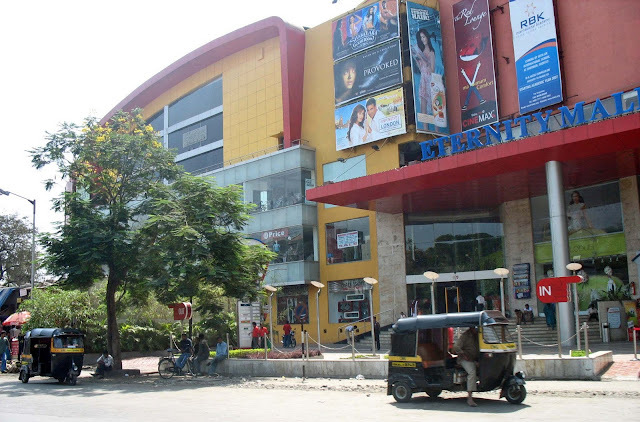 These are pictures of the facades of three Mumbai Malls, two in Mumbai and one just outside Mulund, in Thane. The first photo is of Phoenix Mills (High Street Phoenix) in Mumbai. It is one of the most successful malls in Mumbai and very large too. It has several storeys of parking, and all major brands including the multiplex PVR have a place inside. This photo is of the gate facing the main road with the signage. The actual buildings inside the mall are spread out and not seen in the picture. 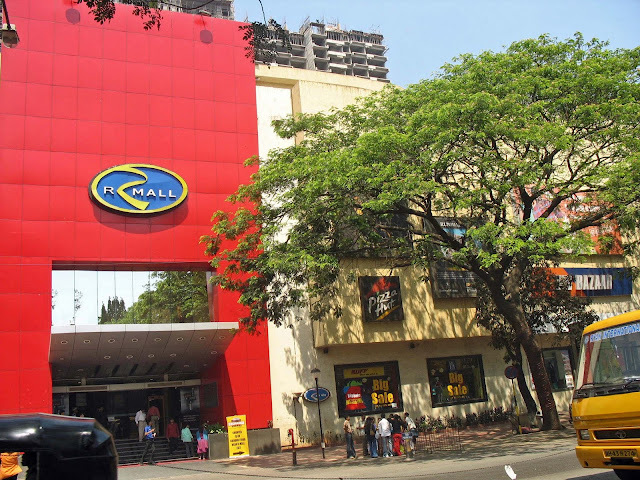 R Mall is located on the outskirts of Mumbai, at the very edge of Mulund, bordering Thane. It is one of the older malls that side of town, and quite successful. Adlabs has a multiplex cinema hall here, with more than six screens. In this photograph you will see a group of young people gathered outside the mall. There are also signboards of Pizza Hut and Big Bazaar on the building exterior. This picture is of Eternity Mall, a stone's throw away from R Mall, although it falls in Thane. This mall has never really taken off and has a dirty food court. Cinemax has a multiplex here. There are two auto rickshaws in the picture and cinema posters on the wall of the multiplex theater. 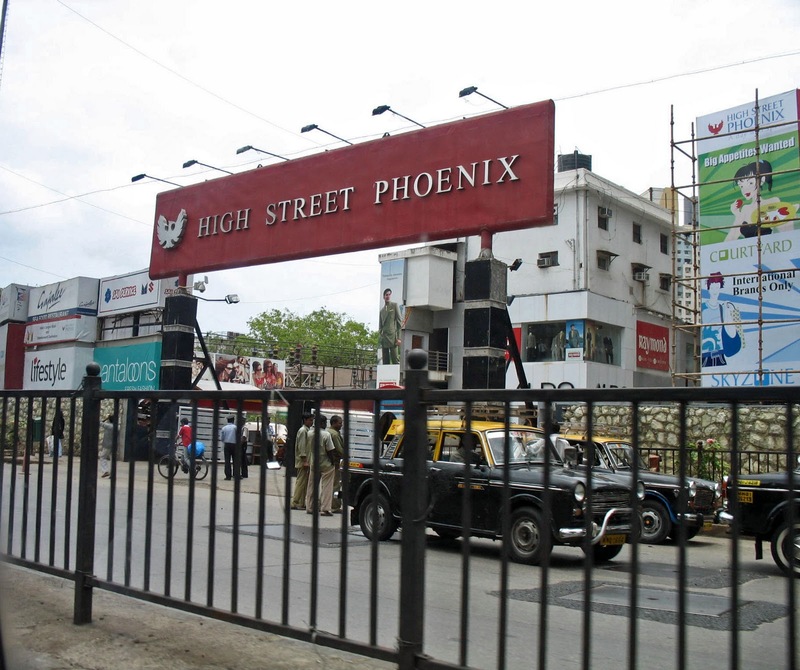 or High Street Phoenix Mall in Mumbai.